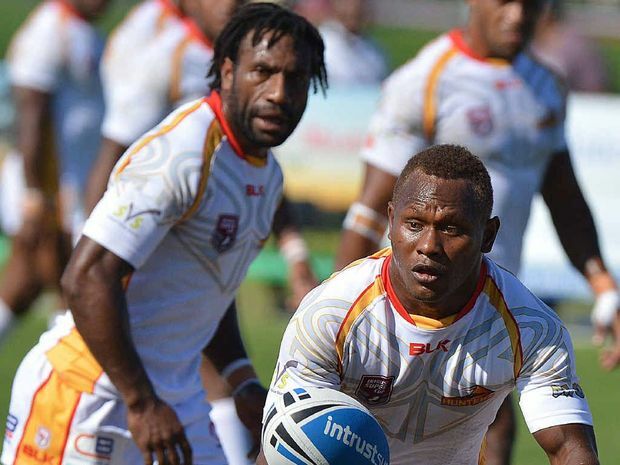 SUNSHINE Coast Falcons stand-in coach Ben King says failure to start today's match strongly against Papua New Guinea could spell doom for his side. The Falcons found themselves chasing a 14-point deficit after just 10 minutes last week against Burleigh, before scoring 36 unanswered points for a solid 36-14 victory. But the Hunters are a very different outfit and boast one of the best forward packs in the Intrust Super Cup. They are undefeated heading into today's round four fixture at Sunshine Coast Stadium and are the best defensive outfit in the competition having let in just 46 points this season. King said it was imperative his side came out firing against a brutal Hunters outfit. "We need to start better and we can't afford to leak early points like we did against Burleigh," he said. "It will be a very physical battle and we have to make sure we are up for it. "We need our guys to step up." King, who will stand-in for regular mentor Craig Ingebrigtsen who is unavailable due to family commitments, said although his side started poorly against the Bears, their victory had provided an extra spring in their step that could prove invaluable against the Hunters today. "To come back from 14-0 down and score 36 unanswered points was pretty inspiring and shows how enthusiastic the boys are," he said. "They got a lot of belief out of that and that will hopefully help them this weekend." Falcons centre Matt Grieve's early return from injury last week paid dividends with the speedster providing a lot of calm when the game was in the balance. "When they boys were down 14-0 last week Matt took them behind the goal posts and got the boys right," King said. "Matty is such a great player and has a lot of experience," he said. Captain and half Ryley Jacks has been sensational through the opening exchanges of the season and will need to be again today in steering his side around the park. "He's really experienced at this level and buying in and doing a wonderful job for the team," King said. "He helps get us on the front foot," he said.